He has a plan for me; I need only to follow…. With one of the teams came a very sweet and humble lady. She brought homemade clothes-pin dolls to share with a few. 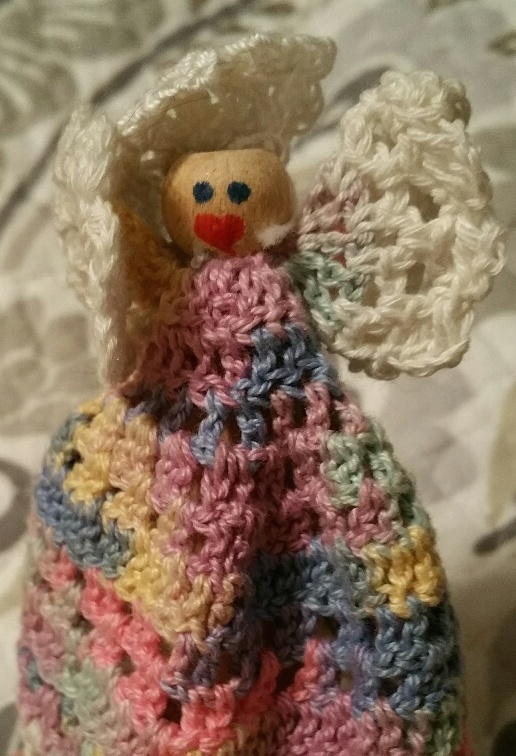 The doll was a small homemade creation intended to remind its recipient of the promise of God’s presence, and His plan. It was a simple creation, a small crocheted dress fashioned onto an old-style clothes pin. It was in that moment that I was reminded, even though I went about my daily routines, doing things my way, HE had an even better plan for me. He still has that better plan for me…. and while there are days when I do not fully understand His plan, I do know, because of the promises found in His Word….. He has cut a path in the wilderness for me and He will guide me through all of its twists, turns, and distractions. I need only to follow. Jeanette Everett, wife of one, mother of four, and passionate for “abundant living” resides in South Mississippi. Her life has been an incredible journey, providing her opportunities to learn, love, and experience life to its fullest, which she enjoys sharing with others. Katrina was a brief stop on her journey. Many things changed for her when Katrina blew into town, but the truth of God’s love, mercy and grace didn’t change. She has been guided in every way by His abundant wisdom! Her MOTTO: Live with passion, love with all your heart, laugh often. As Jesus said, HE came so that we can live ABUNDANTLY!! !